Have you Restructured your Business Lately? 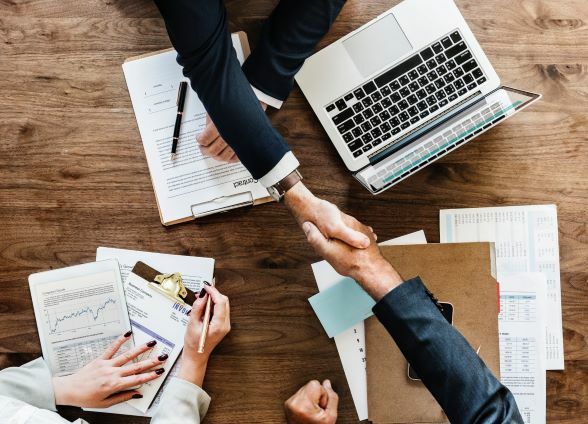 Many business owners decide to change their structure, often from sole proprietor to company or from partnership to company. But what happens with tax consequences? When you sell a business, you would usually be up for paying income tax since the business has been sold or transferred its assets. But when you change the structure of your business, ownership of the assets doesn’t change - so the ATO have a rollover process. This allows you to transfer assets as part of a restructure without having to pay income tax on that transfer. Yeah! However, there used to be other tax consequences of transferring depreciating assets when undergoing a restructure. For example, a company transferring a depreciating asset (such as a ute/car, plant and equipment) to a sole trader could inadvertently create a dividend. With the latest tax change in November 2018, there will no longer be any income tax consequences when your restructure involves the transfers of depreciating assets. This will automatically apply. 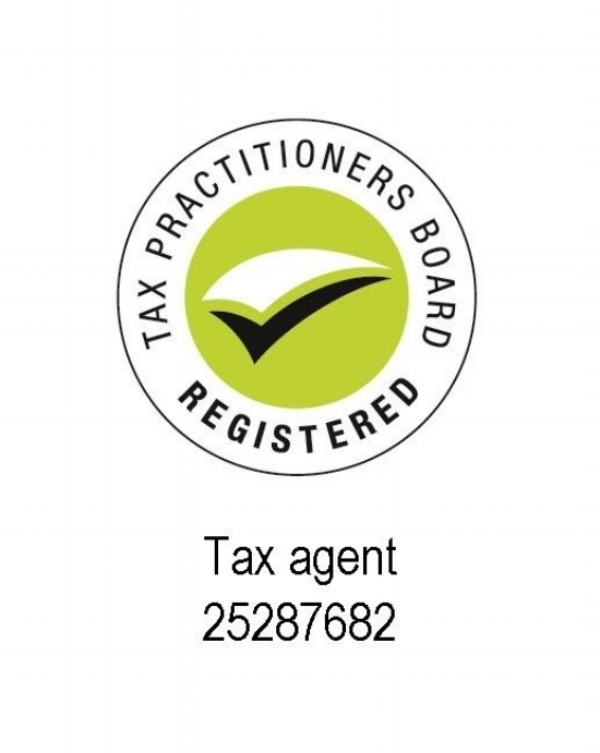 Remember, registered tax agents like Team Accounting can help you with your tax planning and compliance. The ATO writes that invoice payment times in Australia are among the worst in the world, with invoices paid on average, 26 days late. This can affect your cash flow significantly. The Ombudsman wants to hear your experience with payment times and what is on your contracts to customers. Information gathered will be used to provide advice on how late and extended payment practices might be improved in small businesses. The $20,000 allowable threshold for an instant asset depreciation has been recently extended to 30 June 2019. What does this mean? If your business buys an asset which costs less than $20,000, you can write off the business portion in your tax return for the relevant income year. (Or more accurately, your accountant will do this on your behalf). The asset was first used or installed ready for use in the income year you are claiming it in. If the asset is $20K or over, then it will continue to be deducted over time using the general small business pool. Are you a sole trader, trust, or partnership who has not lodged an income tax return or BAS for a long while? If your ABN is inactive for more than two years, your ABN might be cancelled once the Australian Business Register (ABR) is checked. 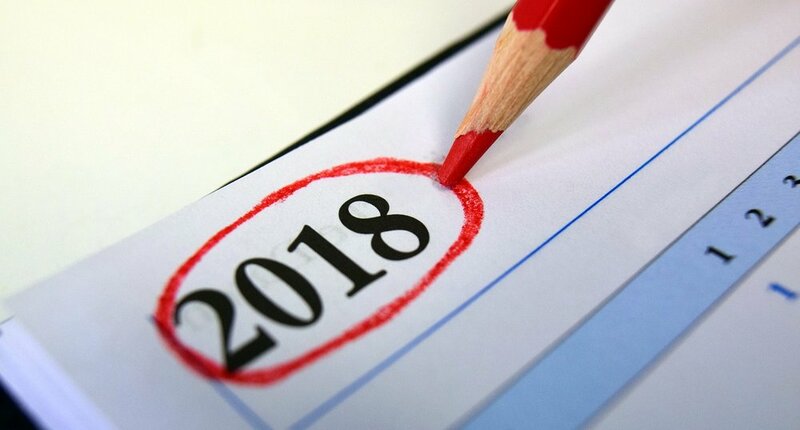 These checks will be happening throughout 2018. Not only do you need to keep any business name details up to date (and paid for through ASIC), your ABN details also need to be kept active. This can be done through lodgements to the ATO (Australian Tax Office). Of course, if you cease trading, you should advise the ABR. Smaller sole traders with income below the tax-free threshold (of $18,000) often believe that they have no need to lodge an income tax return. However, they must lodge the individual tax return, including the supplementary section and business/professional schedule (for individuals), regardless of this. That way, the ABN will remain as ‘active’ in the ABR register. By the way, if you don’t lodge tax returns through a registered tax agent, you have until 31 October to lodge your tax for the financial year 2017-18. If you use an agent to lodge, like Team Accounting, then the closing date is more flexible. Prior years tax returns should be lodged as soon as possible to avoid a penalty. Just like the public does, you can use the ABN lookup to see your business status and GST status. Is your Accounting Work Reactive or Proactive? As small business owners or wealth builders, most of us want a proactive accountant: one who keeps an eye on their figures (alerting if they go off-track). One who communicates 2-3 times a year, with an eye to the future. In fact, MYOB found that 93% of Australian business owners wanted that type of relationship! So, we are no longer looking for simply a tax compliance and set-up service. As real-time accounting software is used more, it is ever more important to have a business advisor interpret the prime figures. You are saving on data entry and cross-checking work by using software, so accounting advice adds value here. As banking and loan documentation becomes more demanding, that too can be an area to discuss and plan (when advising on cash flow and budgeting). There are so many areas that you and your accountant can resolve to proactively plan… rather than reactively finding out your incoming cash won’t meet the needs of that December tax bill and overheads! As busy accountants, there are some hurdles to giving proactive advice. One, finding out when clients are free to converse and which areas of need they have. Then, ensuring to put the planned call into a calendar. Also, not having too many other client accounts that are priority one. But here at Team Accounting, your personal tax accountant will always put time aside for you to discuss important issues. buying a business, choosing sole trader or company, selling a business, investing in property, employees or contractors, what does a SMSF do, salary sacrificing to super, the Medicare levy and surcharge, valuing a business, retirement planning, and trusts. You can come into the office at 131 Sutton Street, and pick up a few for free! You can help the accountant help you, by being clear about which aspects of business and life are of concern to you in the next six months. OK, we’ve done your tax return, now what about planning your director’s 9.25% super contributions? (Ensuring any employees’ super is up-to-date too). Now might be the time to look at your yearly budget. What else can you save towards as a business asset? As a proactive accountant, we must also advise if it’s suitable to switch to an online accounting software and the steps involved. For some, it’s not needed, but for multiple property owners and modern businesses with lots of activity, the benefits of real-time accounting software most likely outweigh the trouble of setting it up. Again, it’s about asking your accountant a question and getting a full response. Every professional at Team is never too busy to properly understand your problems and goals – that is all part of being a proactive accountant. Although our business advisory isn’t free, you might find that it’s cheaper than some business coaches, while being immensely practical. This is because time is charged hourly and not by arbitrary value. The value you receive by planning with your accountant (in business and for property) is returned both in dollars and in peace of mind. Tracking all expenses on your investment property and claiming proper tax deductions means that you can offset much of the cost of owning that property. When you own rental property that is currently being rented, you can usually claim any expense associated with earning that income. These landlord expenses are deductions from your taxable income – or split deductions if you own the property jointly – and there are lots of them to consider. An expense must be incurred in the line of earning an income from the property, so if it was not rented out, there is usually no deductions applicable. Legal expenses related to managing the property. (Legal fees on the purchase of the property are not claimable). Some investors would perhaps like an instant tax deduction. If you prepay one or more of your rental property expenses (e.g. insurance) that covers a period of 12 months, and the period ends on or before June 30, you can claim an immediate deduction. Some prepayments that don’t meet these two criteria might still be claimable but will need to be spread out over two or more years. (Just check with the accountant first). Note: From 1 July 2017, travel to inspect rental properties or collect rental for individual, residential property investors cannot be claimed as an expense. When you looked at the list above, did you realise that you haven’t been claiming all the expenses you could have? At Team Accounting, we’re happy to answer all your questions on what is allowable. We could also implement a system whereby you scan receipts straight away (on your smartphone) and enter them in categories in the app of a SAAS bookkeeping tool (e.g. Xero, Quickbooks). This will save the data to the Cloud for later tax return analysis. Custom expense categories can also be created inside the Chart of Accounts area. What Rate of Company Tax will you Pay? There seems to be some confusion around company tax rates, especially whether a small to medium business is eligible for the lower tax rate. The lower tax rate of 27.5 percent, rather than 30 percent, depends on two factors: whether the business was considered a small business entity in the 2016 and 2017 financial years, and whether it was a base rate entity for the 2018 financial year (the current measure). A small business entity is ‘a business that has aggregated turnover below $10 million and is trading for at least part of the financial year.’ That was the old measure to determine eligibility for the lower company tax rate in 2016-17. It has been replaced by the base rate entity model. A base rate entity, according to the ATO, is a company that is carrying on a business which has an aggregated turnover less than the turnover threshold of $25 million in 2017-18. Which Entity Type is Your Business? Many of our small business clients will likely fit the description of base rate entity, but always ask us if your business income sits close to those lines. This lower tax rate of 27.5 percent will remain until 2024-25, whereupon it is planned to fall 0.5 percent and then 1 percent (twice) in three FY stages. From this financial year (2018-2019) on, many larger SMEs will enjoy a larger aggregated turnover threshold of $50 million, which will allow many businesses to enjoy this slightly lower tax rate from now on. Don’t forget, when planning your expenditures and PAYG for the year, to compare this 27.5 percent tax rate with your own individual income tax rate on drawings and salary. It may not be all that different, but just check. Also discuss this tax planning with your accountant, before making any firm decisions to raise or lower your salary for tax purposes. In wake of the banking royal commission, we really got a rude shock: Australians are not being taken care of with regards to their financial advice needs. However, are we partly to blame? Clients who invested their super entirely in cash (via AMP) and had fees taking out more than it grew (as found in the Royal Commission) were ill advised, no doubt about that. But analysts and university professors argue that as consumers we must become more financially literate and more aware of financial risks and rewards. One business school professor in this article claims that too many Australians cannot work out simple math calculations, with regard to percentages. Complexity plays an even bigger part. A 2017 survey by ASIC revealed that around a third of respondents said dealing with money was stressful or overwhelming. Perhaps that’s why they come to a financial professional in the first place; it is fairly complex after all. ‘Fees for no service’ have passed many of us by, and it continues to be a point for investigation in the royal commission. The reason it has thus far been ignored is because an unfair administration fee is merely a line item on a super statement or insurance account. It does not highlight itself in yellow and say ‘look at me, I’m robbing your nest egg’. So it is a great idea to keep in touch with the advisor who first gave you some life insurance or super allocation advice, to see if your funds are still on track to meet your objectives, among other reasons. Luckily, when you are aware of your lifetime goals and know your risk tolerance, you can then go along to an accountant at Team Accounting to get a broad outline of the steps you can take... or perhaps the financial structure you might need. This is such a safe step because accountants cannot legally give specific investment product advice. Then, if you do want a proper financial plan, a financial advisor who is not affiliated with any particular big fund, i.e. one who charges a fee for service, could be the next step to help plan your financial future. You might as well receive a decent service for the fees you ultimately pay in the line of saving for retirement or insuring your life. Could you Apply for a Business Grant to Enable Growth? Every year, government agencies distribute millions of dollars in grants to eligible small and medium businesses. But, securing funding is not easy, as you can imagine. Those successful have undertaken detailed research and solid preparation. · Read the funding program’s guidelines and start the process plenty of time before the grant’s due date. · Complete the application forms. While we missed the deadline on the Small Business Digital Grant for this year, there are also grants to help a business innovate. The Entrepreneurs' Infrastructure Program, delivered by the Australian Government Department of Industry, Innovation and Science, provides easy to access practical support and funding. This programme is the Government’s ‘flagship’ initiative for business competitiveness and productivity. It aims to help small and medium enterprises to commercialise novel products, services and processes. It supports with business management advice in your industry, start-up incubator support, and innovation facilitators’ connections (a bit like a mentor) and accompanying connections grant. Part of this program that might be of interest is the Business Growth Grant. This provides matched funding of up to $20,000 for the cost of hiring an expert to help with implementing the advice and strategies. It is accessed once you have undertaken advice from Business Evaluation, Growth Services, Supply Chain Facilitation or Tourism Partnerships programs. For Queensland-headquartered, high-growth aspiring businesses with a turnover of at least $500,000 last year (and fewer than 50 employees), there is also the Business Growth Fund. Government provides funding of up to $50,000 for eligible businesses wanting to purchase specialised equipment or services (e.g. feasibility study, engaging an advisory board) that directly enable more growth. A co-contribution of 25 to 50% to the total project cost is requested. It is interesting to note that ‘high-growth’ is considered to be at least a 20% increase in turnover or employment rates within the next two years. Need financial support? Take a ride through the Queensland Govt Grants Finder. When planning your cashflow and budgets for innovation or digital business growth, consider taking the time to get a Cashflow and Budget Analysis done with your business accountant. This session is more than just looking at current numbers; it will help you see what figures are needed for your objectives and what would potentially come in from the changes (i.e. return on investment). Having a clear path to financial growth may also take the angst out of making the bigger decisions. Those retirement years. Picture: Pixabay. CCL. On the way to planning our retirement, some of us take a misstep because we trust the words and hype of someone offering investments. Whether it be mortgage debentures that fold, time shares/hotel clubs, off-the-plan developments that sink once bought, or just plain scams, a setback like this can cost you many thousands. Losing part of your nest egg is emotionally devastating as well as detrimental to your level of comfort whilst retired. There is a simple rule you can use to prevent this pain. It's as simple as asking yourself: "is this decision powered by fear or greed?" These two enemies of wealth will both get you in trouble - you may be torn between hope and doubt in an effort to save more for retirement. There is always the option to seek the opinion of a licensed financial planner and, if hovering over a contract, also a solicitor. When you want tax advice, you might need your accountant to calculate cash flow, but if you want an opinion on the actual investment itself - then only financial advisers with a RG146 can help you, under the law. We have several here, from the team at Lifetime Wealth Partners. No matter what pretty graphics or strong growth projections are parried about, it is important to take time to remove caught-up emotions and ensure any new investment is based on solid fundamentals, like a history of growth, steady dividends, not too much debt, and good management. What if You've Been Burned Already? If you've already taken the plunge and bought a dud investment, try not to let it spook you from all forms of share investing, property investing, or other funds. Not all are created equal. If the Royal Commission had you worried, then Noel Whittaker advises you to become engaged in your Super again, understand the fees, and use it for the growth and wealth-building tool it can be. (See Courier-Mail, 2 July). And if you want a holistic look at your retirement and wealth goals, it might pay to get a financial plan with a licensed financial adviser. Twenty years or so out from retirement is ideal because your family has time to change things in the right direction and ride out the blips of a downturn. Coming up to the tax reporting season, many of us consider viable tax deductions… oh wait. If you’re a business owner, you won’t even be thinking of doing end-of-year tax preparation now. But you might be finalising needed purchases that are within the $20,000 immediate asset deductible limit. As a canny business owner, you may be considering ways your business and life can improve in the next Financial Year. Rather than focussing on short term tax planning, what about investing for the longer term? So let’s talk about Deductible Debt. Excited? Good. This is debt where the interest and costs may well be tax deductible – either in advance or in arrears. A song to the hearts of many a medium to high individual earner on the 32.5% or 37% marginal tax rate. But remember your tax-free margin – making it a little tricky to work out in the head. You could be deciding whether to invest through company, or through individual, or through a trust. The base rate entity company tax is 27.5% for the companies with aggregated turnover threshold less than $25 million for 2017-18. Trust taxes – it depends on the trust beneficiaries’ tax rates. Super – on personal drawings, rather than just 9.5% SG, you might elect to pay in 11 – 15% of your pre-tax individual income, as a director or shareholder. However, your ability to pay only 15% contributions tax is limited to the concessional cap, which has gone down to $25,000 per year from 2017-18, for every age. Getting a tax-deductible loan is only one reason to invest, so ensure all the other variables are in place first, like a secure and growing asset. Most newer premises have tax deductible components on the building and fittings that can also aid cash-flow (the Depreciation Schedule will clue you in). And franked dividends are by nature, already taxed either on part or 100% of the amount. The thing with shares and ETFs is they are more liquid and while they should be held more than one year, they can be sold right away if in dire need. a) the ASX, or b) commercial property, or c) a mix of assets in your super. It also helps to diversify away from having every wealth hope based on your business’s future. Call us if you would like some holistic advice on investing in a tax-minimising manner.